How to Assign Geometry Survey Data to HEC-RAS Cross Sections? 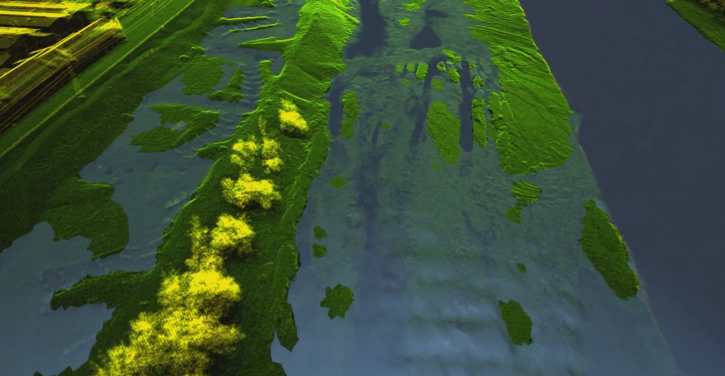 LiDAR has become an established method for collecting very dense and accurate elevation data across landscapes, shallow-water areas, and project sites. Many LiDAR systems operate in the near-infrared region of the electromagnetic spectrum and cannot penetrate water, as shown below. As such, the terrain model is flat in these areas. 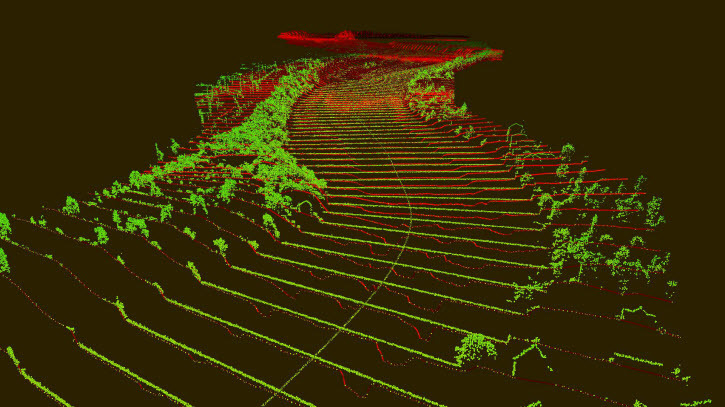 However, some LiDAR sensors operate in the green region of the electromagnetic spectrum and can penetrate water and detect the channel bottom features. These bathymetric LiDAR systems can be used in areas with relatively clear water to measure channel bed elevations. 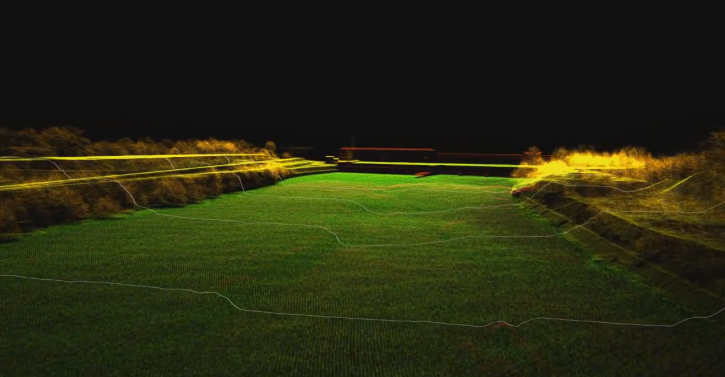 However, many times it is necessary to combine survey of airborne LiDAR (green) and sonar (red), as shown below. In order to reduce bathymetric survey costs, it is only necessary to field survey the river to extract channel cross sections. These channel cross sections can then be merged with overbank cross sections created from a LiDAR derived surface terrain model. 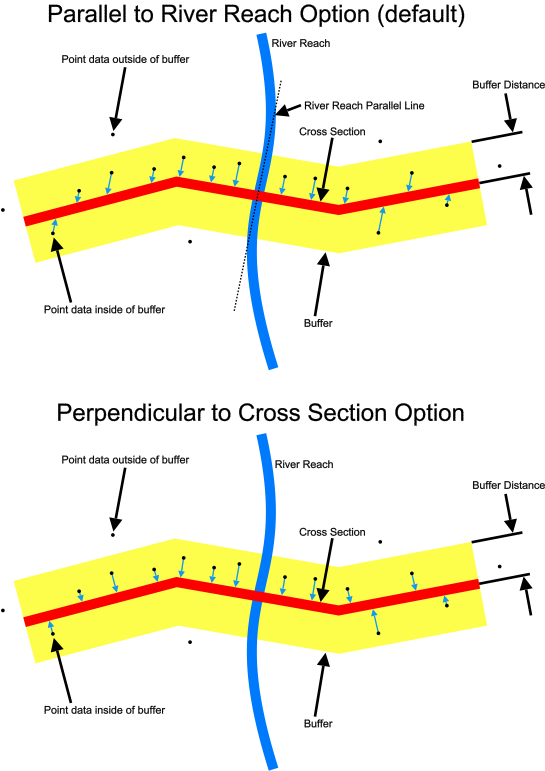 A common problem with surveyed channel cross section data is that the surveyed point data does not follow precisely along a straight line across the river, but instead waivers in the X-Y plane. 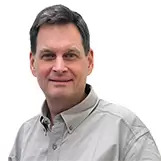 To solve this problem, the Input | Cross Sections | Conflate Point Data command can be used to collapse the surveyed channel cross section data to a selected cross section alignment. 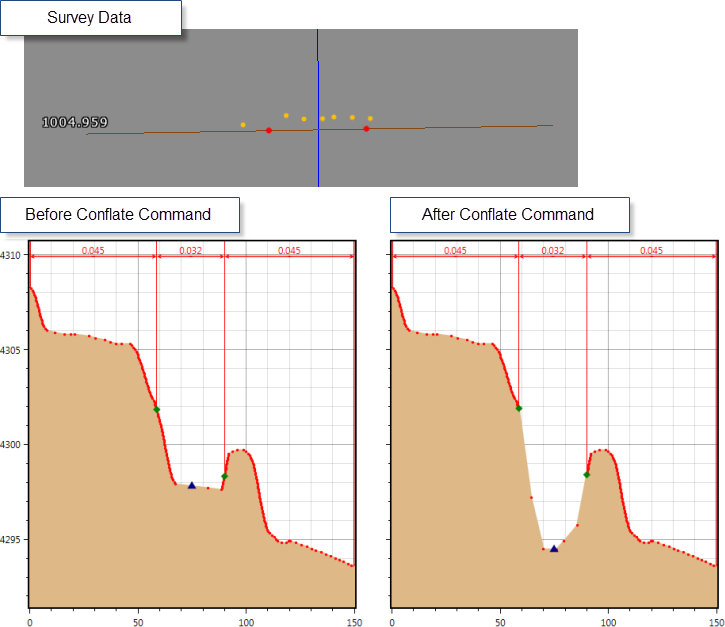 The Conflate Point Data command allows the user to define the buffer distance for the selected cross sections in which the surveyed cross section data should be snapped to the cross sections. The assignment of the surveyed cross section data can be assigned based upon the following methods. 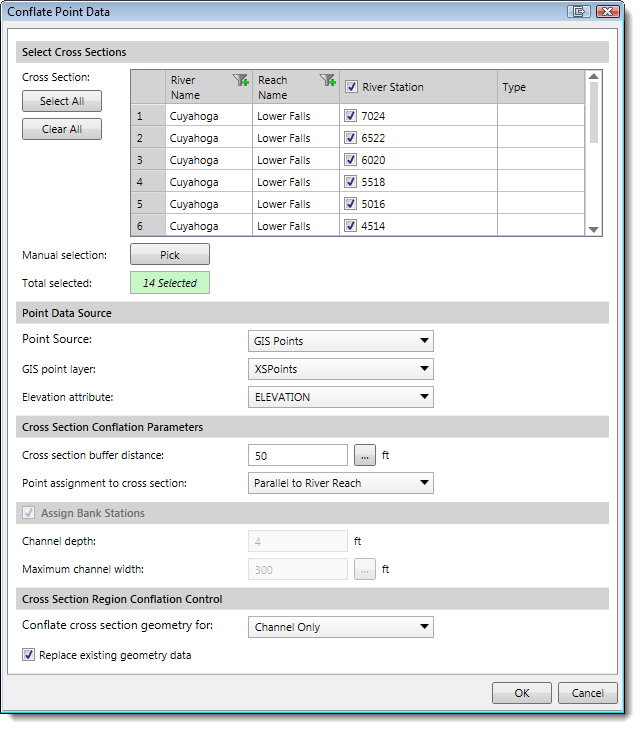 The Conflate Point Data command also provides the option to replace the existing cross section geometry data with the surveyed cross section data. Below is an example of the Conflate Point Data command using channel survey data for an existing cross section that was originally created using LIDAR data, replacing the channel geometry of the cross section.